With the build up to the FIFA 16 release, EA Sport have been showing what will be available for Playstation 4, Xbox One and PC. Today they’ve revealed what will (and won’t) be included with the Playstation 3 and Xbox 360 release. Confidence in Defending – The upgrades to the defending in the game will be included, meaning you should be able to rely on your team to defend as a unit and be able to balance between attack and defence when tracking opponents. Defensive Agility – mobility and locomotion changes to allow for better opponent tracking. Defend as a Unit – Defend together, win together. New Tackling Fundamentals – new slide and standing tackles to make going for the ball more fun and rewarding. Control in Midfield – more focus on the midfield game, including the importance of possession. Interception Intelligence – anticipation of passes and options for shutting player down. Passing with Purpose – passing should be sharper, incisive and more precise. Moments of Magic – A focus on the creation of WOW moments to cut through defences. No Touch Dribbling – more creativity when dribbling, giving more options in attacking defence. Clinical Finishing – Finishing like a pro, featuring better placement of the foot and ankle allowing for more variety in the shooting and goal attempts. Women’s National Team – 12 Women’s National Teams included. FUT Draft – Draft a squad and challenge opponents in a series of four matches to win coins, packs and more. New Legends in FUT 16 (Xbox 360 only) – Includes the Legends Chemistry links. New Interface Improvements – Updated menus to make them more user friendly. FIFA Trainer – Allows for an optional graphical overlay to give the player more prompts during gameplay to help them improve their performance. Skill Games – New skill games have now been added. Stadiums – Nine new stadiums bringing the number up to 50 licensed and 28 generic. New or Updated Player Starheads – This includes likenesses from the Women’s National Team, FUT Legends and other updated players. Commentary – Options now include Arabic, Brazilian Portuguese, French, German, Italian, Latin American Spanish, and all-new Russian Commentary Team. The reason given for the removal of certain options was down to console limitations and available resources. While players on the Playstation 3 and Xbox 360 may not like it, this will obviously be something that starts to happen more often. 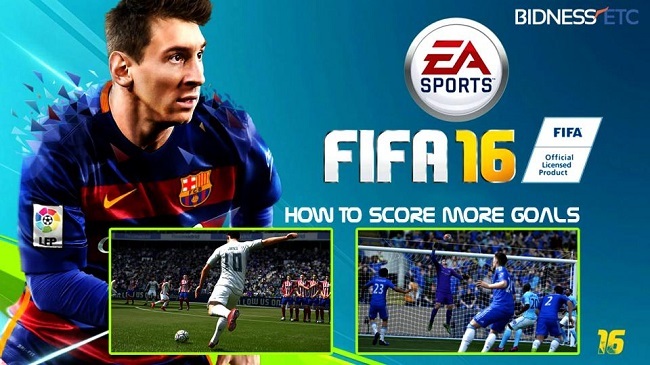 Will you be getting FIFA 16 on Playstation 3 or Xbox 360? Let us know your thoughts on the new announcements.